If you have a successful ecommerce website with a steady flow of traffic and sporadic traffic bursts, then you might have had reasons to be dissatisfied with your hosting solution. Uptime and speed aside, there are several other issues such as poor customer service, DDoS attacks and server-management problems that can irk you. With so many hosting solution providers, there is no reason why you should be suffering for it. A robust hosting solution has many benefits, and unlimited bandwidth and migration support just doesn’t begin to cover it. A hosting solution should not only keep your website up and running but also bring in those coveted conversions. Wondering how? Read on. Every hour your website is down, you not only lose revenue but also productivity, cost of recovery and reputation. When Amazon.com and Amazon.ca went down for 30 minutes, the company lost estimated $2 million based on its previous year’s earning. Arguably, you might be a startup or a small business with less turnover compared to Amazon, but that means the loss will hit you even harder. What’s worse, the loss doesn’t end here. Your loss means competitor’s gain as proven in many cases like Debenhams. 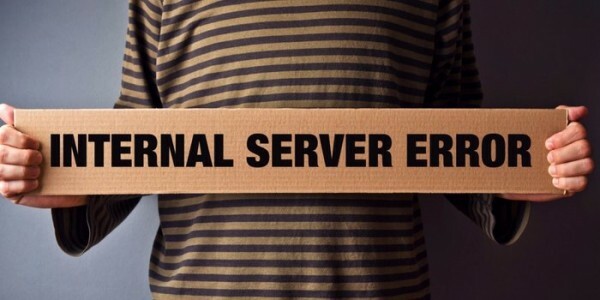 So don’t take website downtime lightly -- choose your website hosting wisely. Every fourth visitor will not bother with your website if it takes longer than four seconds for it to load. Almost half of them won’t come again either (Infographic). While revenue lost due to website downtime is calculable, you cannot calculate losses incurred due to slow websites, which is why it is even more dangerous. Believe it or not, there is even a psychological explanation why your website speed matters so much. This Website Speed Optimization guide pretty much sums it up from psychological conundrums to practical performance tips. The crux of the matter is that your website speed significantly affects your business -- and you cannot neglect it. Portal do Dog is a Brazilian website updated several times a day. The website boasts a lot of user-generated content, including videos. They have over eight million page views per month, eight gigabytes worth of data and an enormous fan community. A few years back they choose managed hosting provider Kinsta because they had a hard time finding a reliable hosting provider that could keep their website running smooth and fast at all times. After the switch, they saw a remarkable result: zero 500 error! If your website is prone to this error message, it would make sense to switch from shared mega-hosts to managed high-end services. 4. Save money with shared IPs. Dedicated or shared IPs? This one is as old as the chicken-and-egg argument. Most businesses worry that shared hosting might affect their business reputation, but watch Matt Cutts put a rest to all the worries in this short video. Google doesn’t penalize good websites because they share the same IP as spammy websites, unless the IP has thousands and thousands of spammy sites. If, however, you chose your hosting provider smartly, you will never face this problem. Apart from cost savings, shared hosting offers many benefits -- such as it’s easy to set up, maintenance and security are provided by the hosting provider and updated technologies like Ubuntu, Nginx, PHP5-FPM, HHVM, MySQL (MariaDB), etc. ensure your website is always up and running. 5. Leverage the secured sockets layer (SSL) edge. In a bid to encourage a safe web, Google gives ranking benefit to websites that have a SSL 2048-bit key certificate. Searchmetrics even analyzed their data and found that there is a significant difference in search engine optimization (SEO) ranking between HTTPS- and HTTP-websites. In fact, the bigger your website, the more SEO ranking gains you get. What’s more, the green HTTPS bar or padlock can even boost trust and conversion. All in all, choosing a hosting provider that offers SSL certificate gives you an edge over HTTP websites. All the five points mentioned above show you how something as unrelated as hosting can affect your conversions. Whenever we talk about ecommerce solutions and conversion tips, we never discuss the importance of hosting, thinking it’s a given. However, hosting is the very foundation on which the future of your website rests -- so take great care when choosing your hosting solution.